The company has decided to close its defined benefit scheme, called the BT Pension Scheme (BTPS), to future benefits in early summer 2018. Our intention is to do so from 31 May 2018, in line with our previous announcement in relation to closure for managers. However, there are some complex administration-related issues that the Trustee is working to resolve. In the event that these issues impact the timetable we will provide a further update. Benefits accrued in the BTPS for service prior to 1 June 2018 remain preserved within the BTPS and subject to revaluation in line with BTPS rules and relevant legislation. 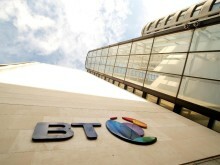 Following a consultation with employees, BT has updated its plans and will make additional transition payments to all ex-BTPS team members moving into the BTRSS, as well as providing a higher maximum BT contribution rate of 11% for an extended temporary period. 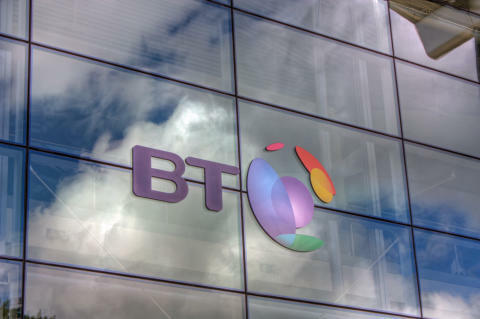 BT and the CWU have agreed to work together to establish a new ‘hybrid’ pension arrangement over the coming year for team members leaving the BTPS. It is intended that this new arrangement will combine elements of both defined benefit and defined contribution pension schemes and be designed to support those team members on lower pay scales, giving them another option for their retirement savings. The hybrid scheme is intended to offer employees less investment risk over the longer term and will be separate from the BTPS. Today’s agreement with the CWU for team members follows another deal reached with the Prospect union in February to close the BTPS to c.10,000 managers, which will see them also join the BTRSS. BT Chief Executive Gavin Patterson said: “I feel it’s critical that we provide fair, flexible and affordable pensions for all our people. I’m committed to helping them save for retirement, so I’m pleased we’ve reached an agreement with our unions. In addition to the enhancements offered to ex-BTPS members, the company also confirmed today a number of improvements to benefits for employees already in the BTRSS, BT’s primary pension scheme for new joiners since 2009. The BTRSS, which already covers the majority of current BT employees, has 35,500 active members. The proposed changes include increasing BT’s standard maximum contribution rate to 10% for all members and introducing other improvements. Separately, BT has also agreed a two-year pay deal with the CWU, for team members, which will see a 3% increase both this year and in 2019. This provides pay certainty for BT and its team members until April 2020. Enquiries about this news release should be made to the BT Group Newsroom 020 7356 5369. From outside the UK dial + 44 20 7356 5369.All news releases can be accessed at our web site. You can also subscribe to receive all BT announcements here and you can follow us on Twitter here. This scheme was opened in 1983 (but received a bulk transfer of assets and liabilities from the Post Office Staff Superannuation Scheme which was established from 1969). The February announcement relating to the agreement with Prospect in respect of 10,000 managers can be found here . c.100 employees will remain active members of the BTPS once it closes. These are Section A members and members who have joined BT from the public sector with entitlement to retain public sector benefits.